Have I mentioned how much I LOVE living on Cape Cod? 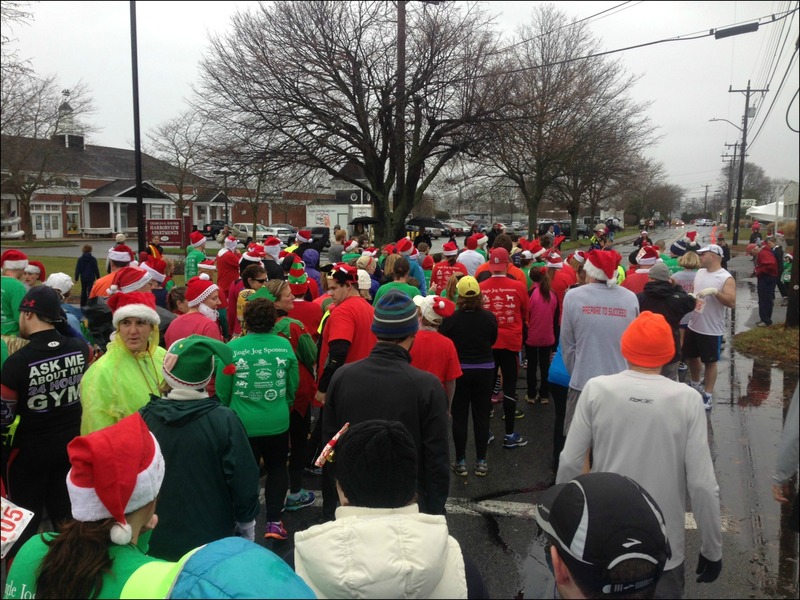 Well 3 months in and Jason and I have found more great local activities and events than we ever had where we lived in New York – like this local Jingle Jog 5k, which was part of the Falmouth Holidays by the Sea weekend! We registered for this race with our friends Allison and Ben who we met through run club (and who coincidentally just moved to the Cape from New York this summer too!). Having pre-registered, the race was $20 each and honestly at the end we all agreed it was a great value – we got a well organized 5k run, a long sleeve t-shirt and some great snacks at the finish – not a bad way to spend a Saturday morning! 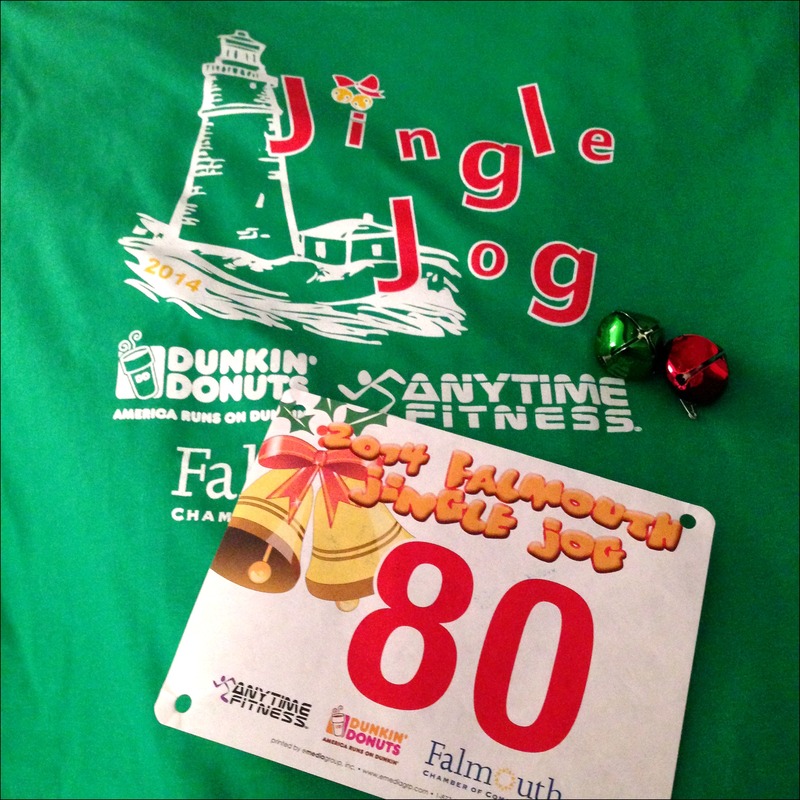 …we were also given some jingle bells to run with (hence the name Jingle Jog!). 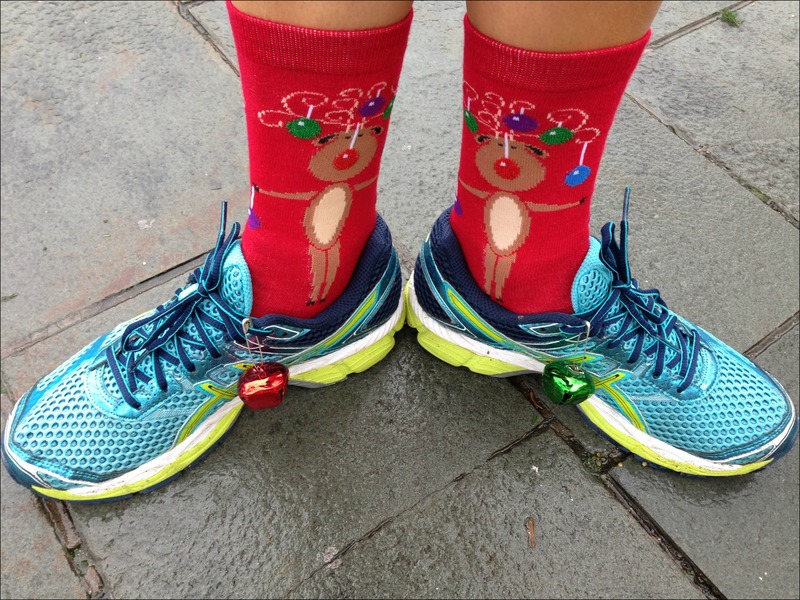 I wasn’t quite sure where to put the bells so they wouldn’t bother me while running, but I ultimately decided on pinning them right to my sneakers! 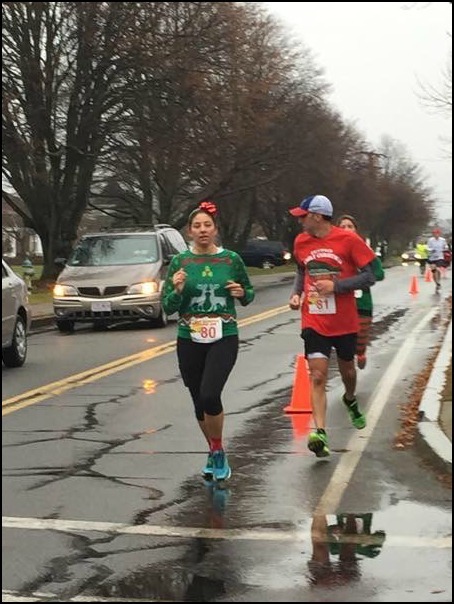 I was pretty excited about running a holiday themed race and had heard that a lot of people dressed up for this one. Of course not wanting to miss out I picked up some Christmas attire for Jason and I to wear! It was cold and rainy at the start, so the four of us hungout in the registration tent until the start (there was an “Elf Run” kids race before the “Jingle Jog”). When it was time to start we headed right outside and lined up with the other runners. I’m not quite sure how many people were originally registered and if some didn’t show up because it was so cold and rainy, but I’d say there was about 200 people running which really made it feel like a nice small community event! Of course being in Falmouth most of the 3.1 mile loop course was along the water and had gorgeous views, in fact much of it followed the Falmouth Road Race course! 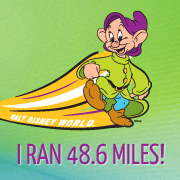 Jason had been sick much of this week, so we weren’t really running for time (although oddly the only 5k’s I’ve run have been at Disney (so REALLY not for time) and this was Jason’s first 5k, so there was a good chance it’s be a personal best time for both of us!). After the race we headed back into the tent where there was coffee, donuts, chowder and ice cream (which of course I ate despite it being FREEZING out!). 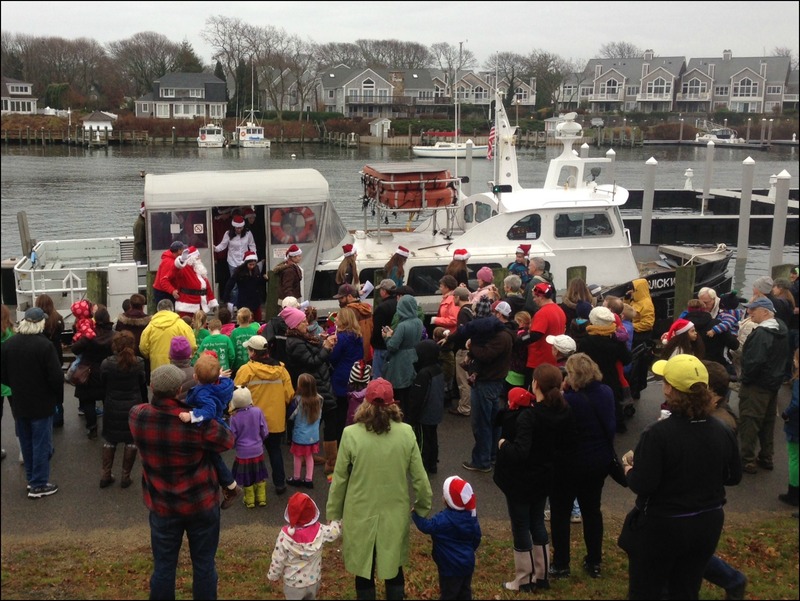 And then we ran down to the water for the moment I had been waiting for – Seafaring Santa! Yup. 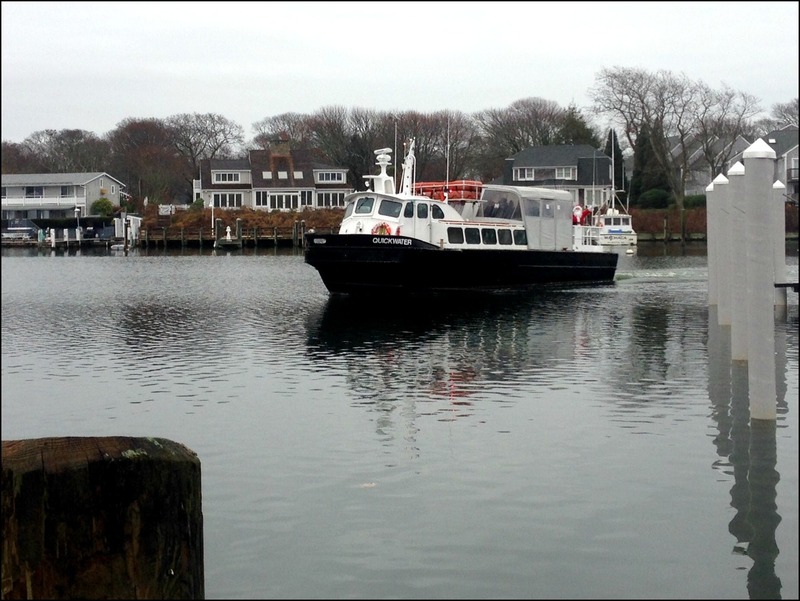 We live on Cape Cod, and on Cape Cod Santa arrives by boat! And Santa didn’t arrive alone – he came with carollers! 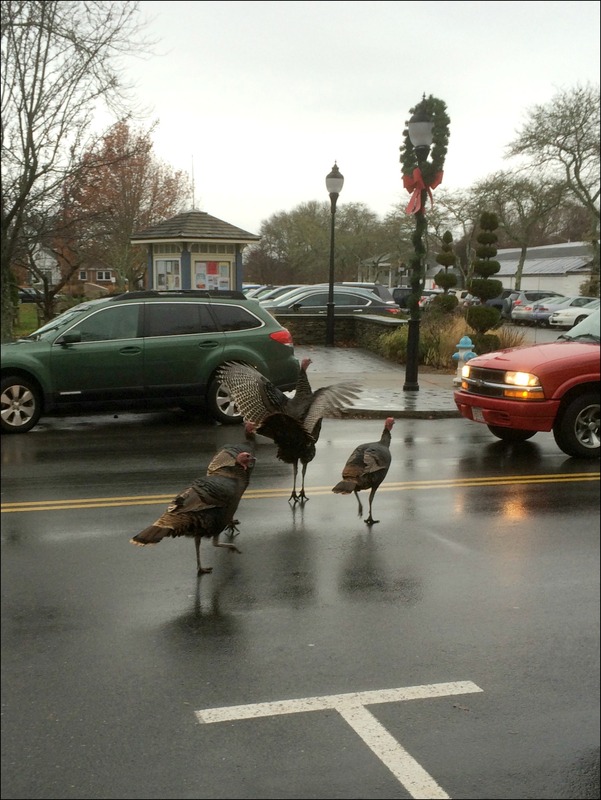 …where we were of course held up by Falmouth’s infamous gang of turkeys! 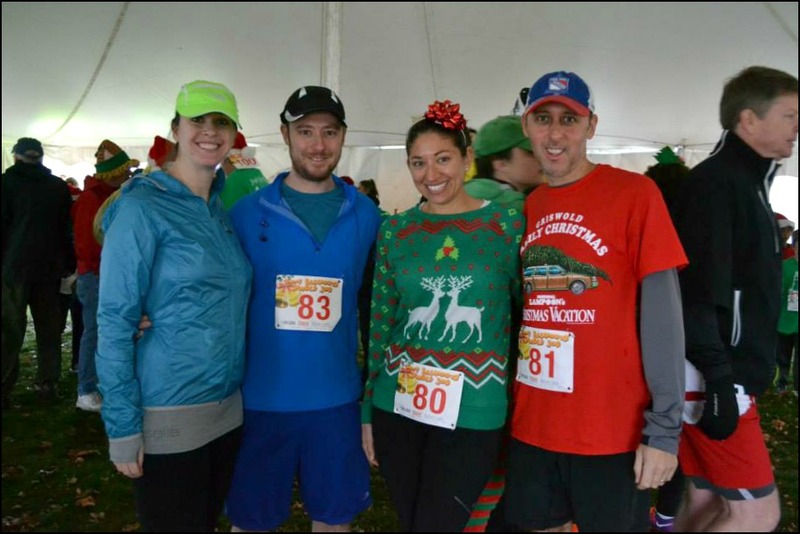 We had a great time doing this race and can’t wait to participate in other local races and events around the Cape! 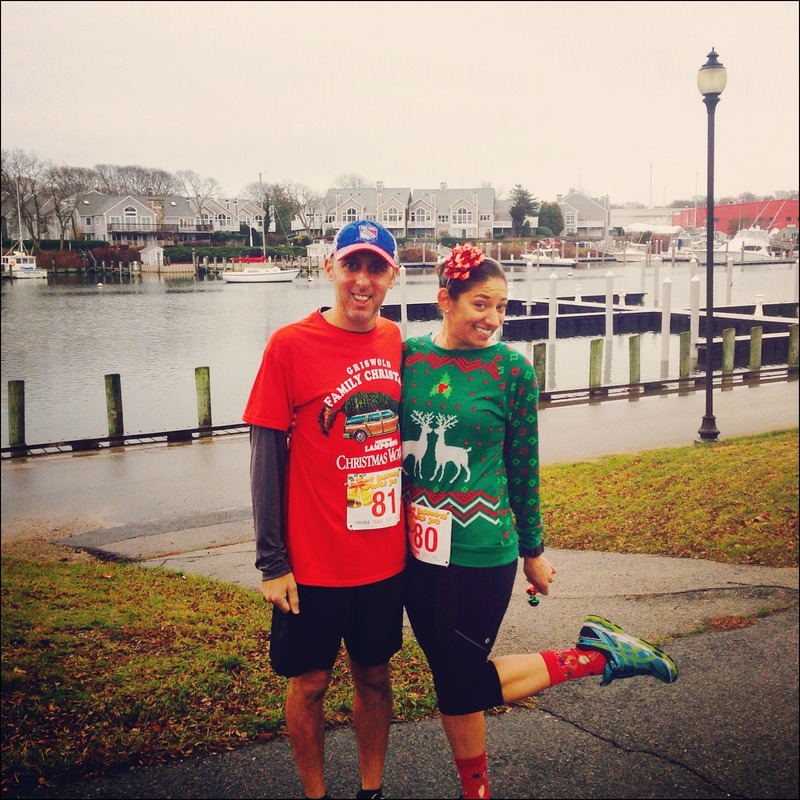 Are you doing a holiday themed race this year? Do you participate in small local races? Yes, you need to come up to the Cape for a race sometime!! 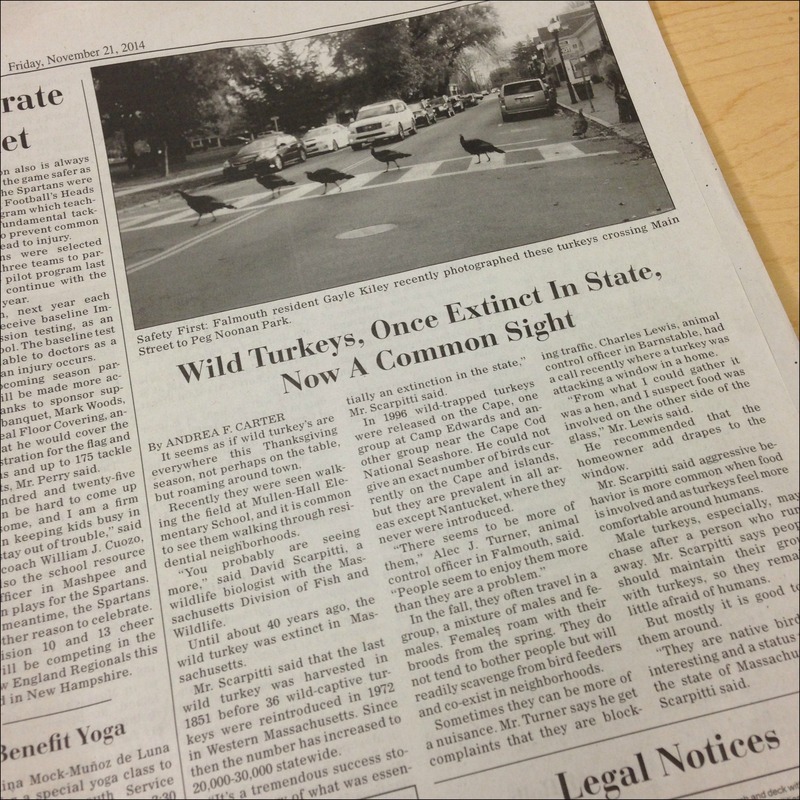 Oh those darn turkeys. I love that one flexing his wings against the cars. He’s not going to win that battle, but he can try. Seriously, the darn things are fearless! This looks like so much fun! And 27:44 is a GREAT time–well done! Thanks, I was really proud of Jason, his running has been going great! I totally agree with you on small towns! When Josh and I lived in Vermont, we were way more active in the community, between running races and volunteering and going to events. Then in NYC, for some reason, we would basically go to work and then go home. It made me feel better to know we’re not the only ones! I was supposed to be running a Jingle Bell 5k that I have done twice, but we are moving Saturday so it is a no go. Looks like you and Jason had a blast and nice PR for Jason! I’m so glad you’re loving living on Cape Cod! Though I can’t believe you moved to a place with wild turkeys. I hope you don’t have too many run-ins! Um, that bow in your hair? ADORABLE!